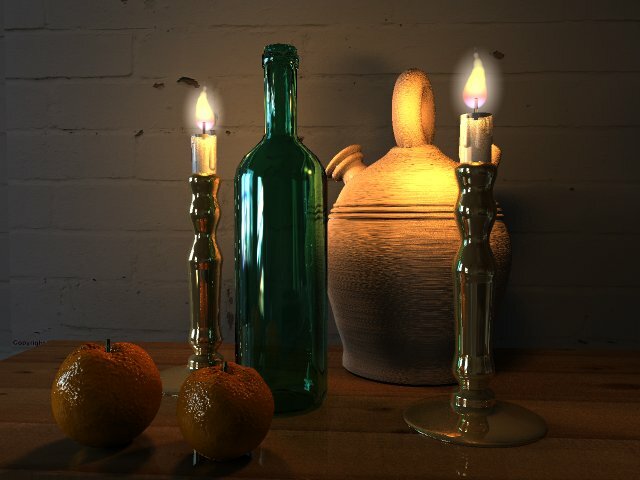 As inspiration wasn’t coming, I took a look at my old images, to see if I any was worth a remake… seems you have to come back to the origins to find the inspiration again. 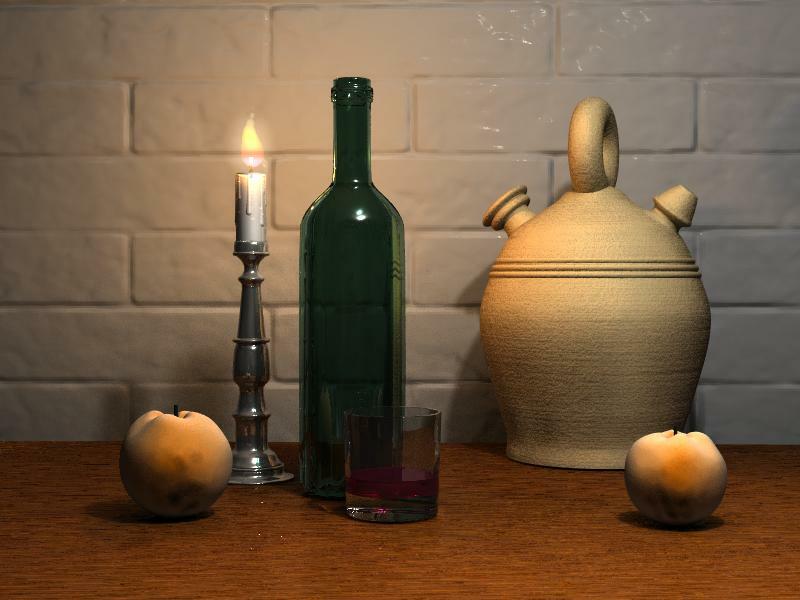 Finally, I decided for something like my old “bodegon” image. 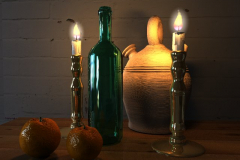 The candle was rescued from the old scene, adding some media to the interior for the luminiscence efect on the wax. 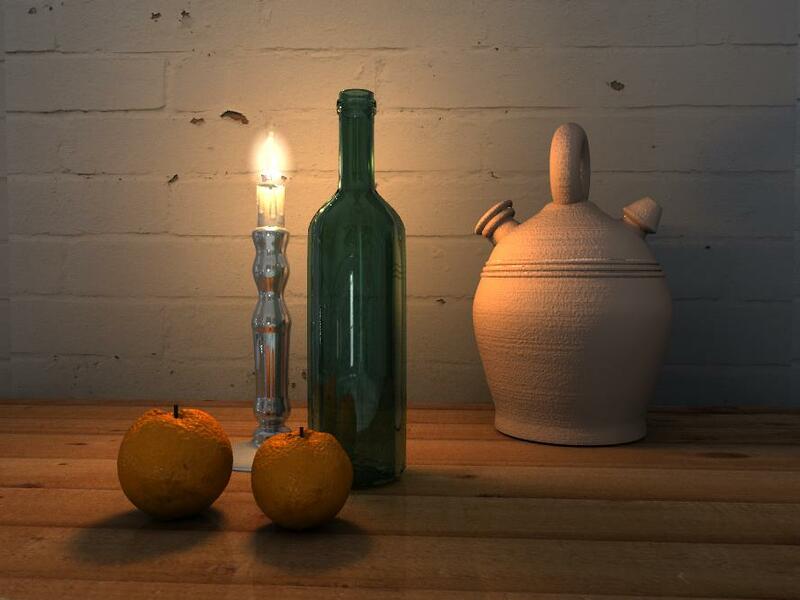 For the rest, it is almost the same blob, with few tweaks to the dripping distribution. 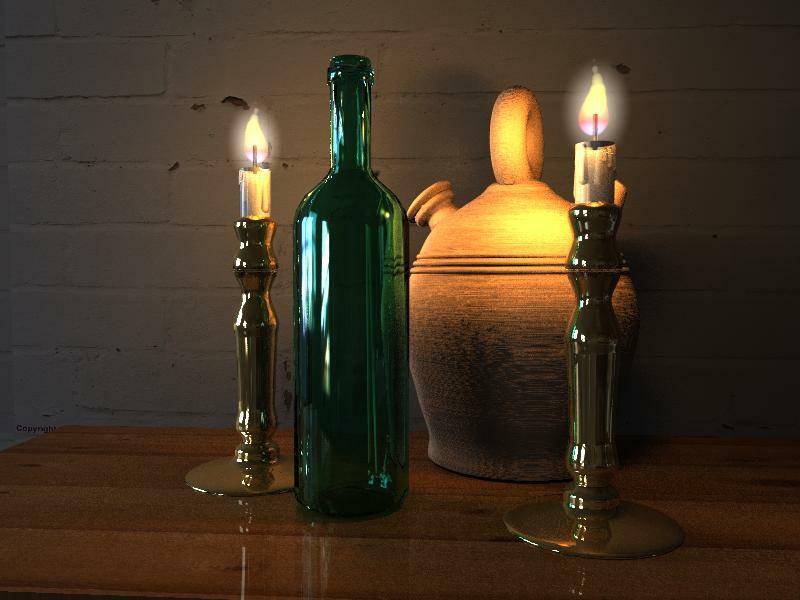 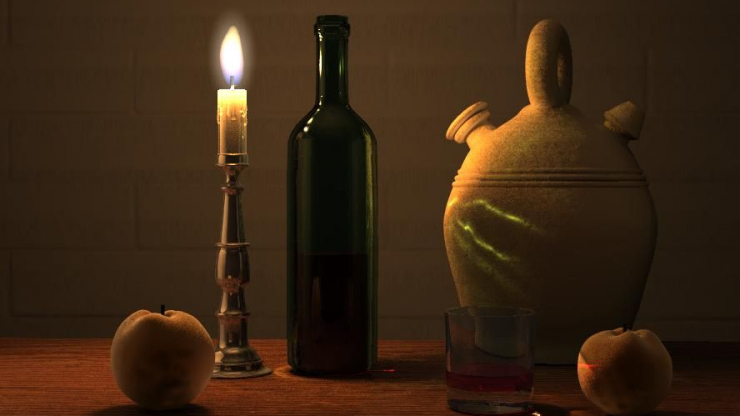 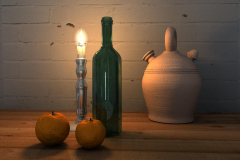 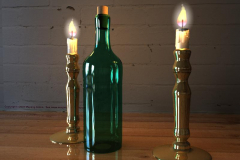 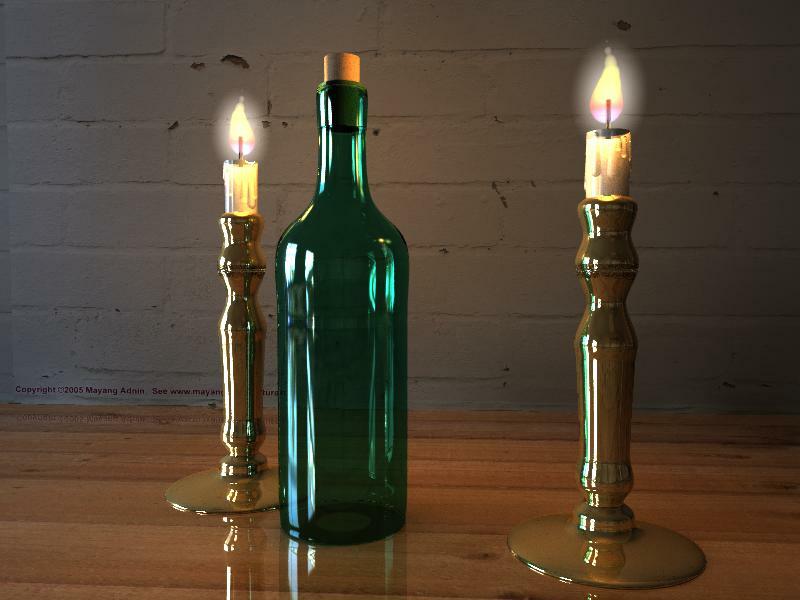 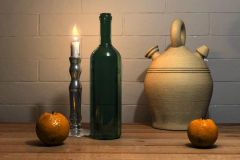 For the candle holder and the bottle, I used at first old objetcs, but the SOR objects were a bit slow, so I replaced them with meshes modeled with Wins3D. 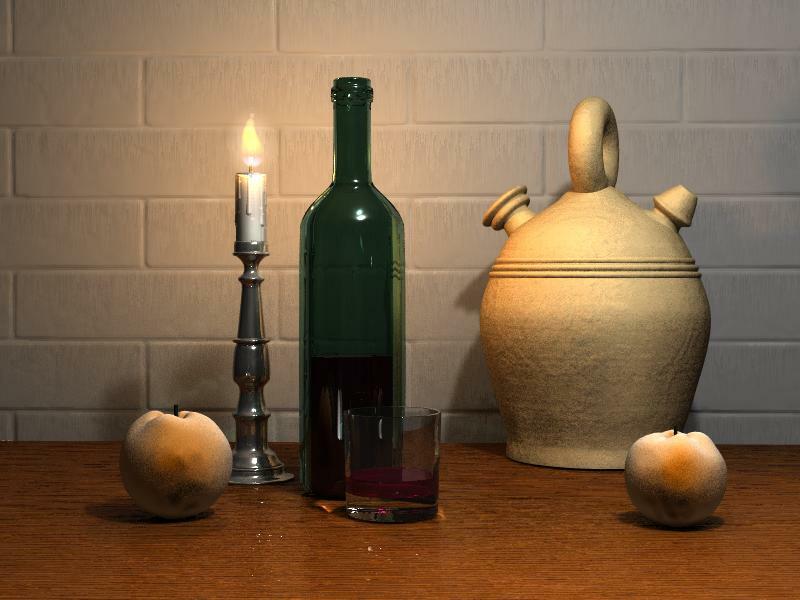 The only difficult part was making the wine liquid out of the bottle model. 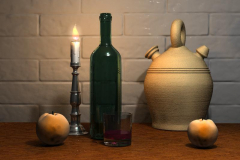 The drinking jug (botjio) is a very old object, with new bumps pattern and pigment. The wine glass is derived from my water glass example: I just changed the mesaures. 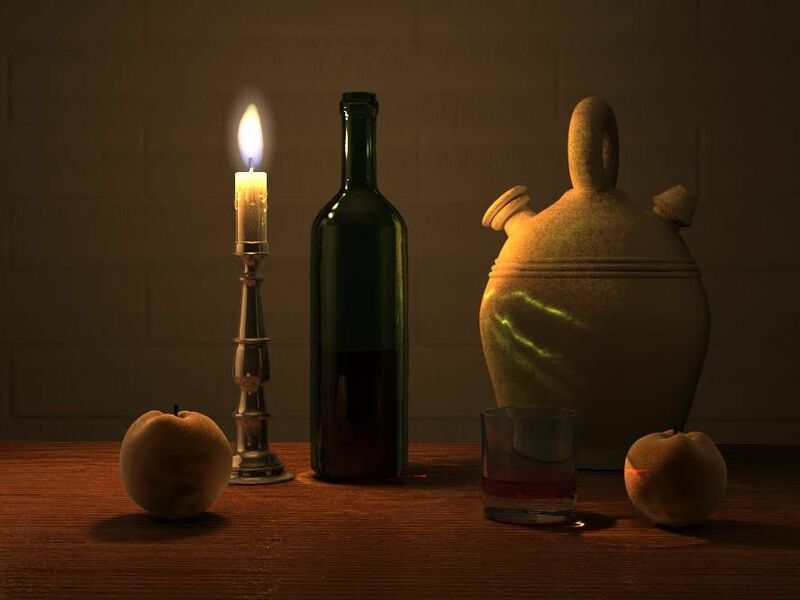 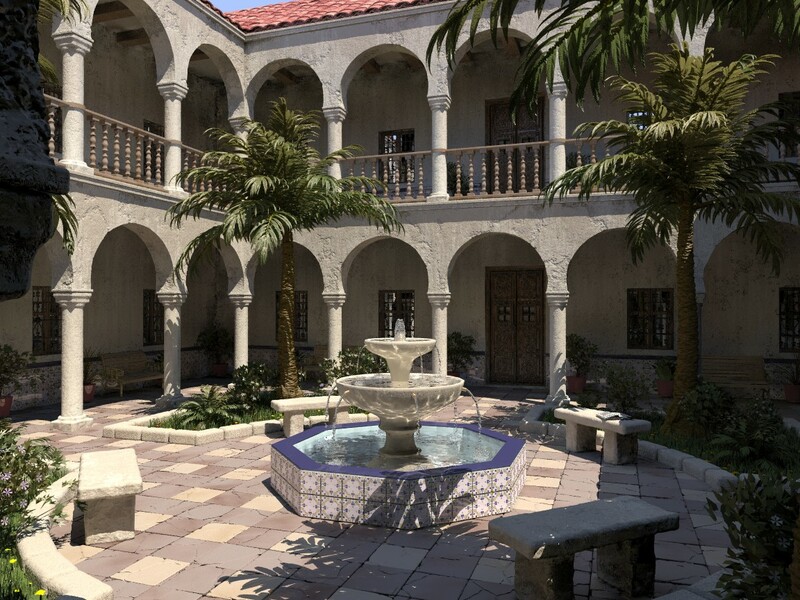 I also used the photons settings from this scene for the caustics effects. The peaches are also recycled from the isosurface oranges used on another scene, just without the bumps and textured with the AOI pattern from MegaPOV. 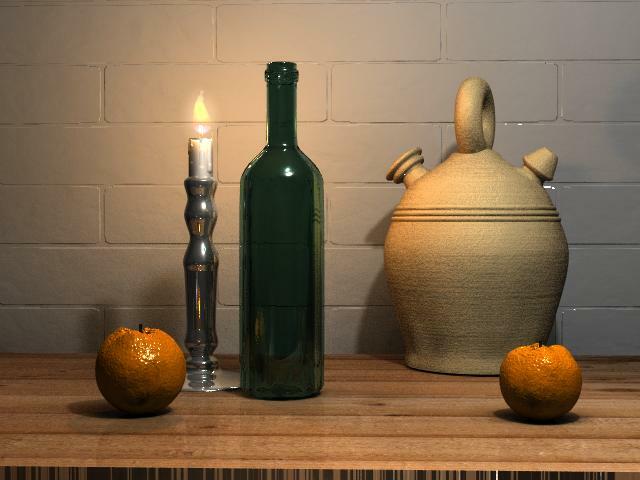 The result isn’t bad, and most recognize it as a peach.